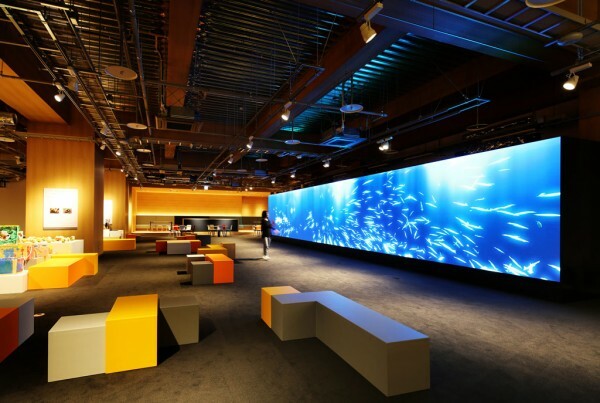 We performed the interior design for a facility where visitors can experience with science-based interactive exhibitions. 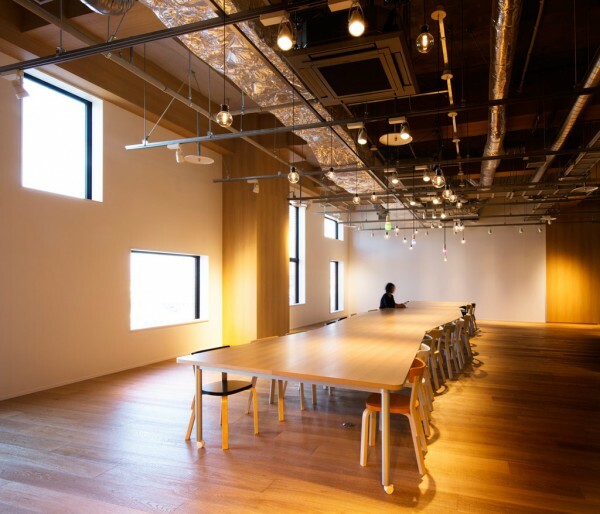 The Future Center Hakodate is located in the Kiralis building; Hakodate's newest landmark located in front of the JR Hakodate Station. 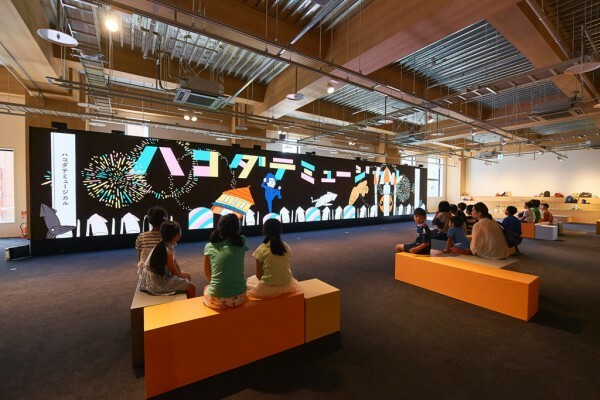 We aimed to create an appealing environment filled with activities aimed at revitalizing the city, while fostering "the power of wonder" through a variety of exhibitions and workshops. 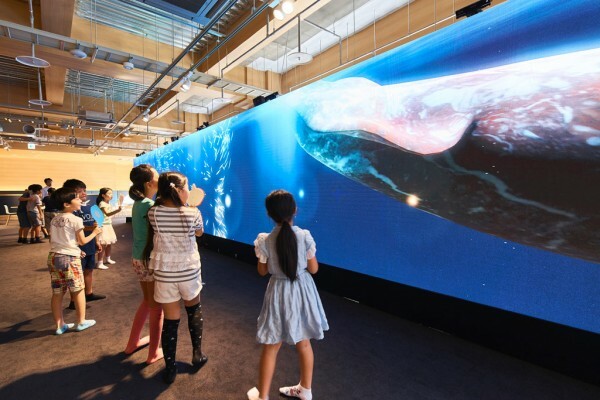 Warm wooden undertones characterize the lofty main space which houses a 2.4m x 14.4m media wall made with high-resolution LED displays where children can freely swim among a school of squid or race a herd of life-sized animals. 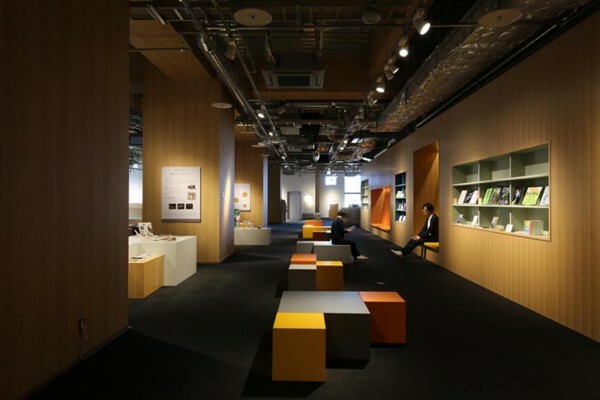 Multi-colored cube-shaped sofas were placed in front of the display to encourage them to move about freely. 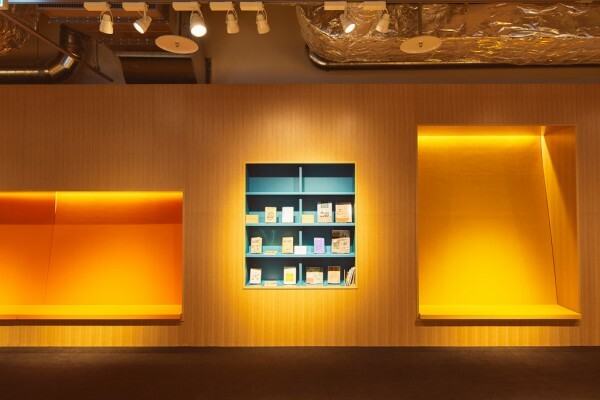 The wall facing the display integrates bookshelves and seating spaces that create inviting reading nooks. 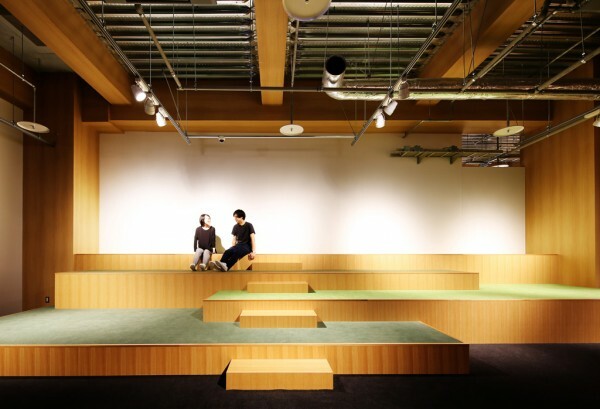 Stair-shaped stands overlook the whole room and offer a place to sit down and unwind. 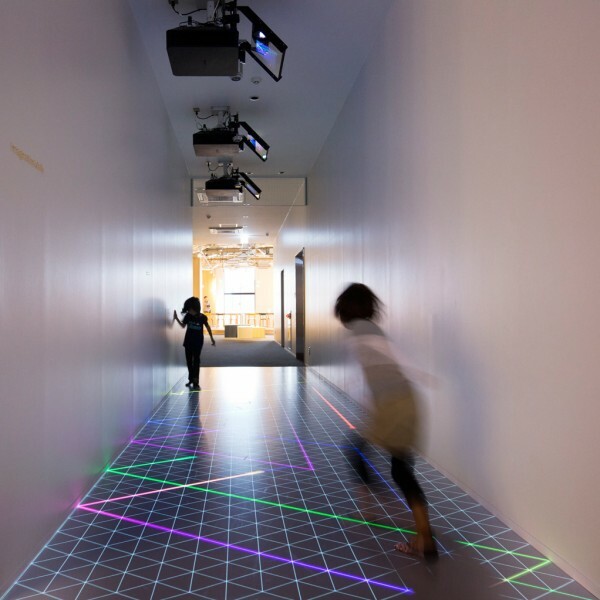 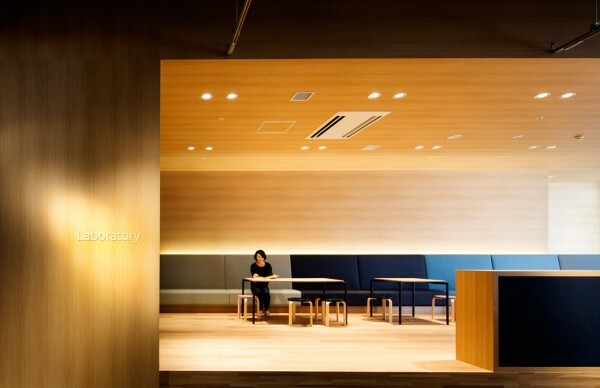 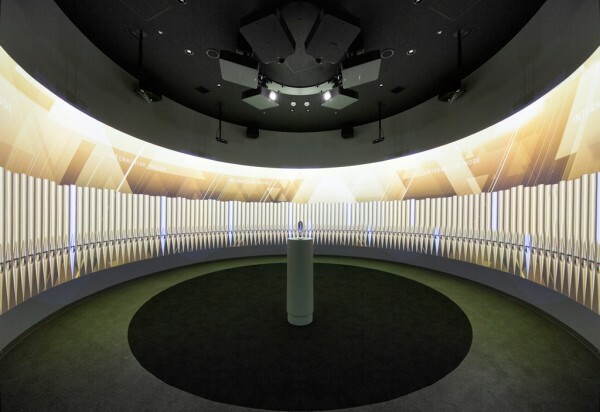 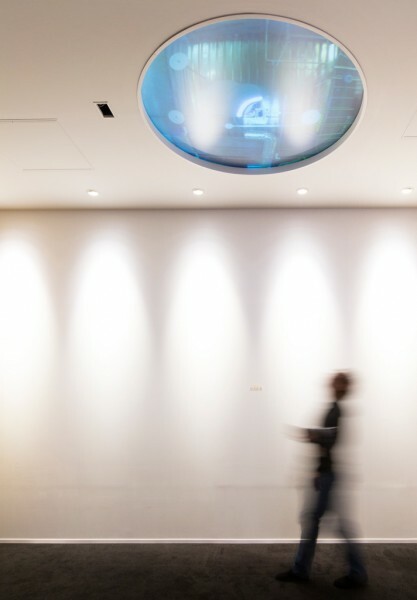 The 360 Studio is a circular room where visitors can produce sounds while interacting with real and virtual images of the city of Hakodate from a bird's eye view. 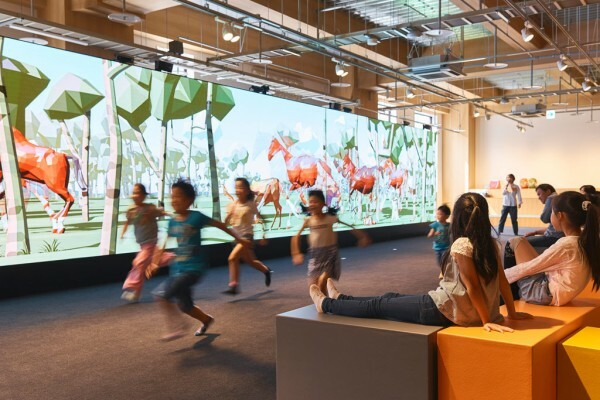 Through our warm and subdued design as well as the use of furniture of different shapes and colors, we strived to bring out the various exhibits and enhance the experience of young visitors, while leaving enough space to adapt to future changes.